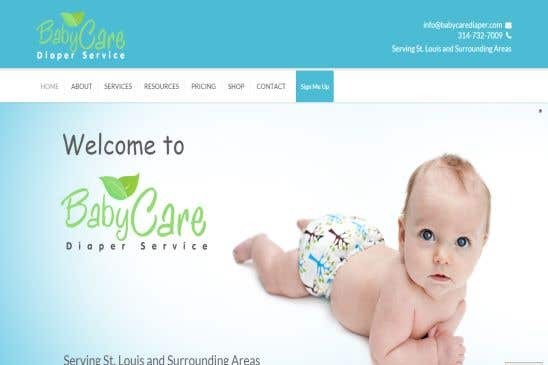 Baby Care Diapers is a US based companies who sell Diapers and cleaning Services.The client was looking for revamping of his existing website with responsive and latest design. We worked for client and finished the website well within the promised timeframe. Client is very happy with our work.We are happy to add another client in our list of Satisfied Candidates. Netmente is an IT company committed to providing our customers with cost effective services of the highest quality. Based in India, our dedicated team of IT professionals are here to assist your every need. Services Offered: - Web Development - Web Design - Servers and Web Hosting Management - Mobile Apps - AWS Management - Digital Marketing - SEO - PPC, Adwords - Web Hosting Let us help you right from the start by developing your ideas into a plan and then building that plan into your future. Our goal is to achieve highest level of customer satisfaction by giving customized solutions to our clients based on their requirements. We believe that the task is not complete unless you are satisfied. Our expertise in building reliable, scalable solutions means our clients can use our products and services for many years to come as they easily grow with the needs of the business.